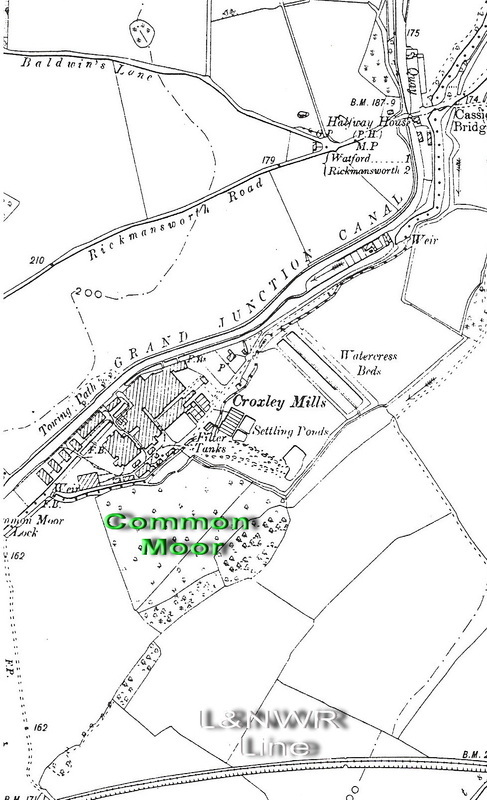 Croxley Mill was built in a location that had a good supply of water. 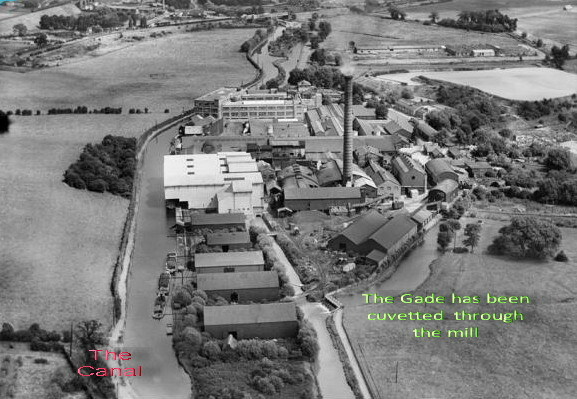 Both the River Gade and the canal provided an essential element in the process of paper-making and the surrounding area allowed for the the possibility of expansion. 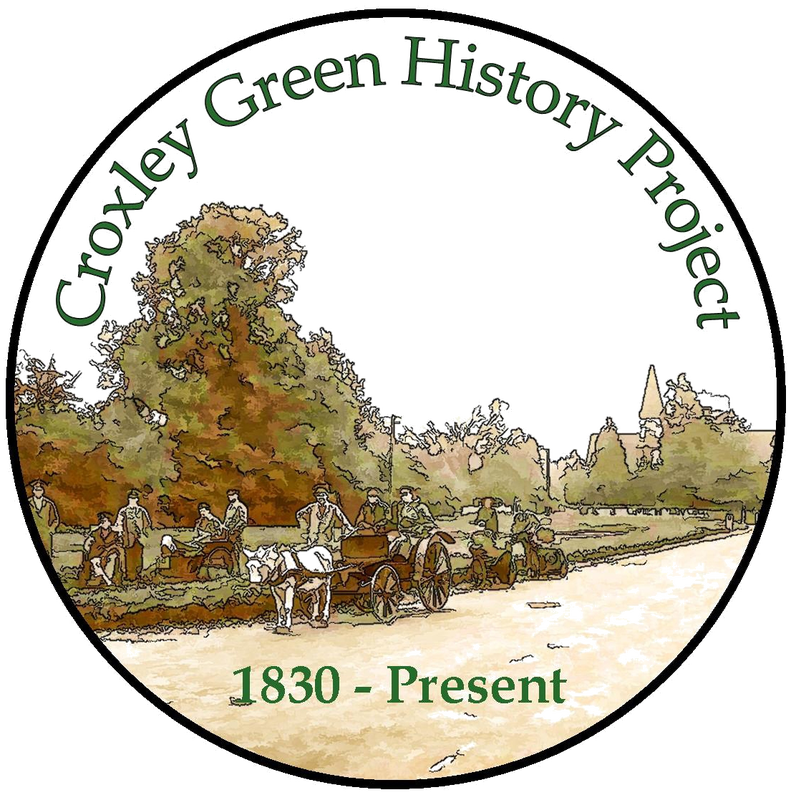 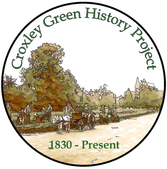 The land was purchased from Gonville and Caius College, Cambridge. 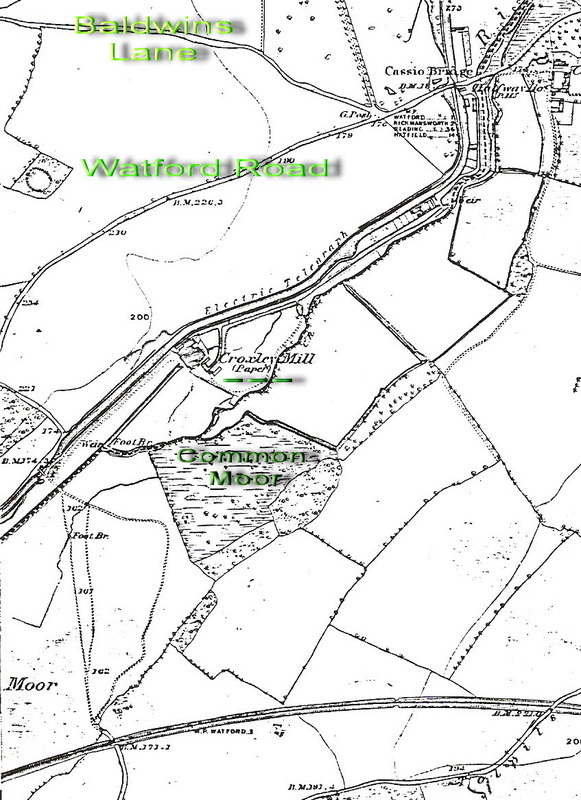 As the mill prospered and more buildings were required, extra land was obtained. 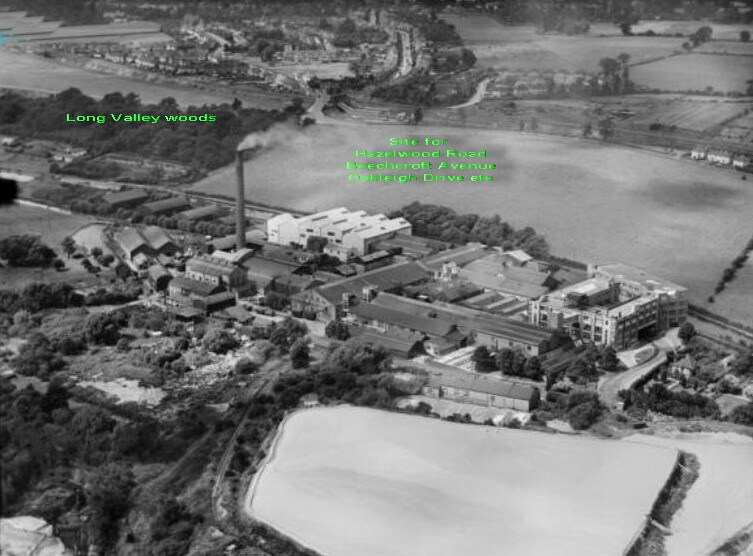 This series of scans shows the progression/size of the mill over the course of the 150 years. 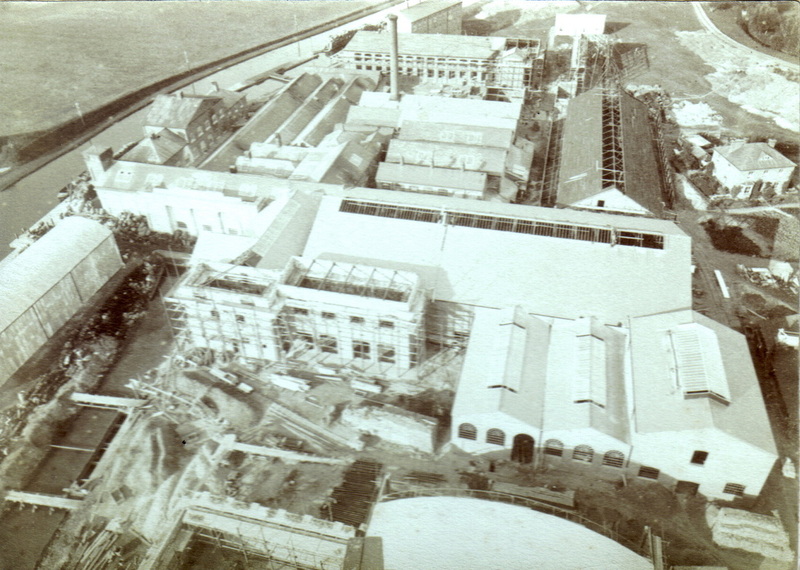 It became the place in which to work, providing an important commodity, as well as a place of employment for local residents. 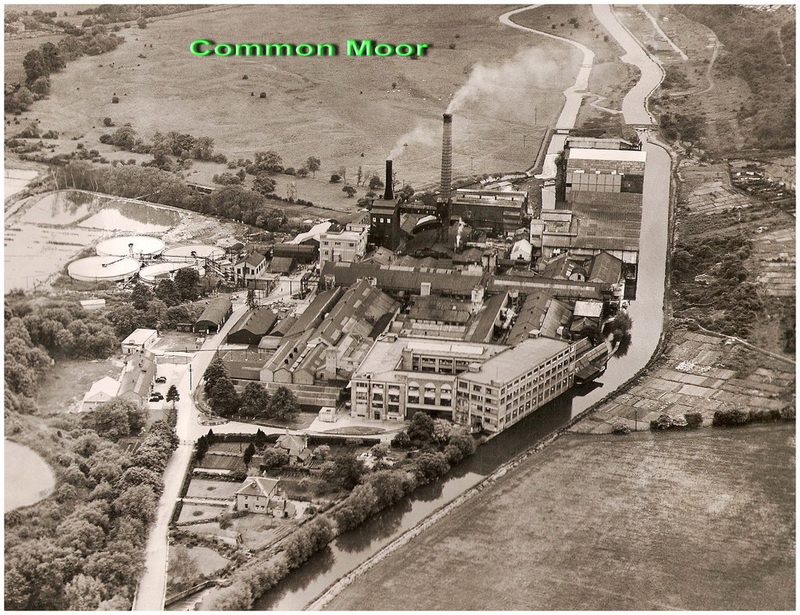 Many people were willing to travel long distances to work here, when the only mode of transport was by foot or bicycle - in all weathers. 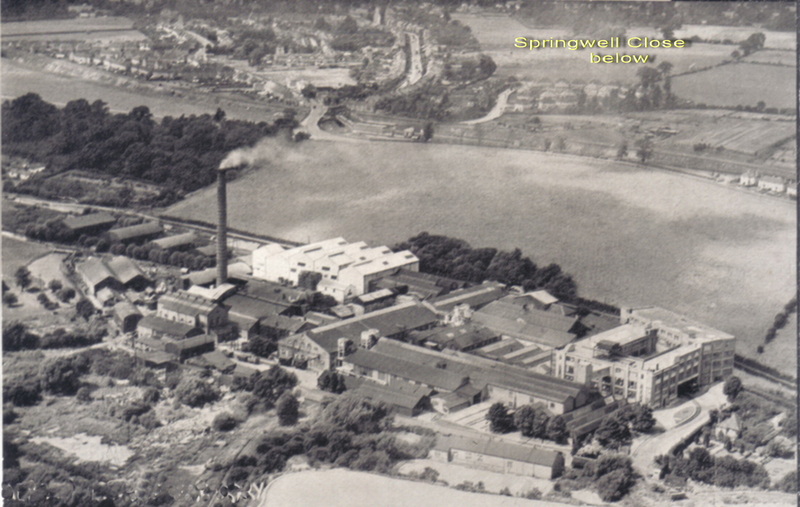 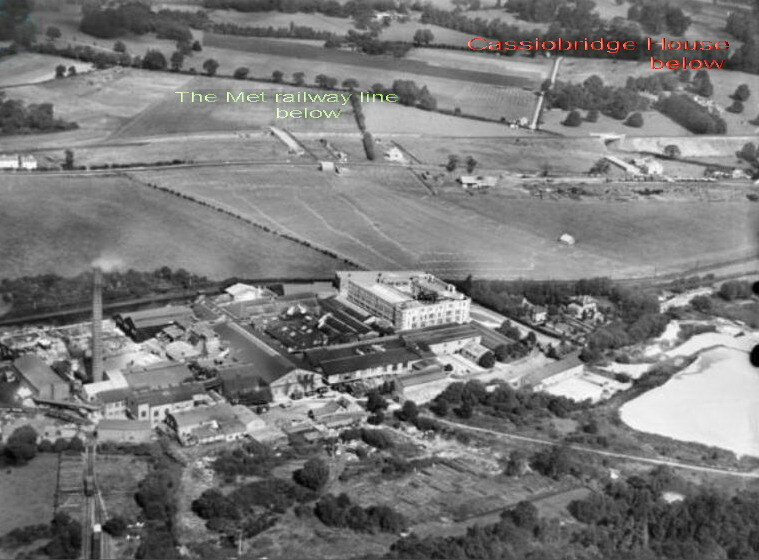 c1948 The mill site - canal to the right - the River Gade culvetted through the mill left. 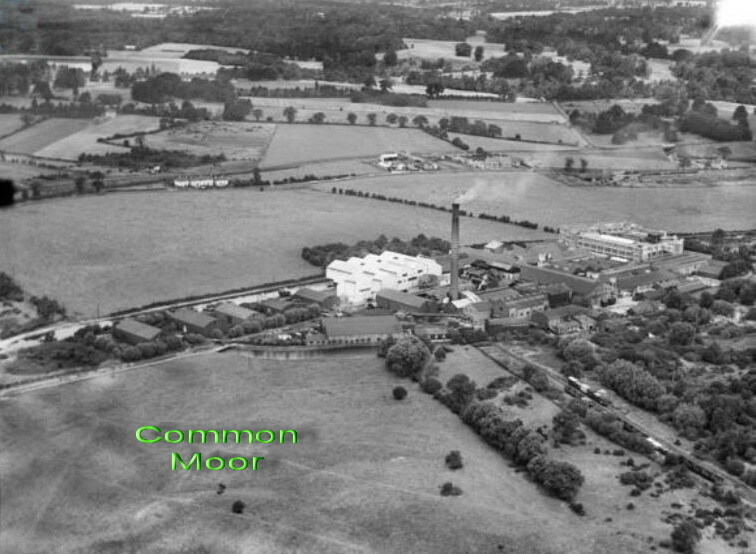 Common Moor top of view.